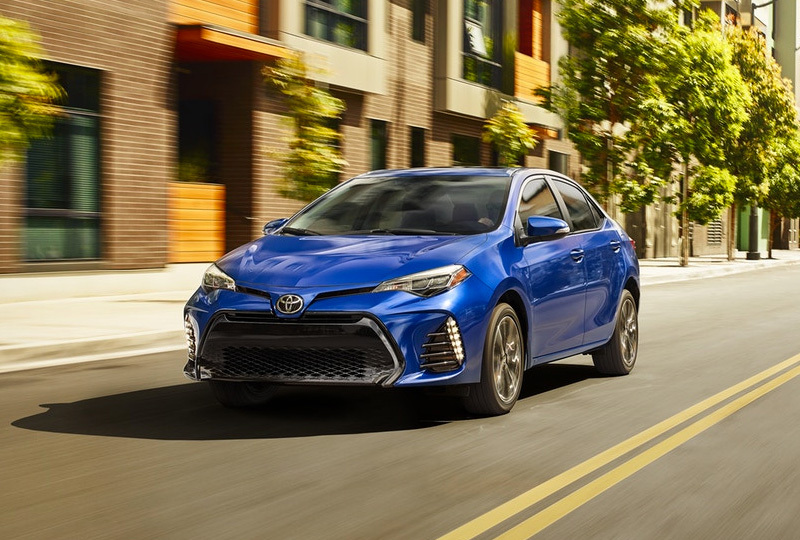 The 2019 Toyota Corolla at Briggs Toyota of Fort Scott in KS, serving Pittsburg, KS, and Nevada, MO, is a capable compact car with impressive features. The strikingly beautiful exterior looks sharp from every angle with an aggressive front fascia and a sleek shape designed to take on the wind. Drive farther on every tank of gas with the 1.8L 4-cylinder engine that supplies of fuel economy of 28 MPG in the city and 36 MPG on the highway.1 Get comfortable with cozy cloth seats and an available, automatic climate system. The convenient 60/40 split-folding rear seat creates added space on demand, so you can always fit what you need inside the cabin. Your EntuneTM audio system supplies multiple entertainment features on a 6.1-inch touchscreen display, including standard Bluetooth hands-free connectivity. Reverse with confidence using your standard rear vision camera that uses a projected path display to make sure you line up perfectly. We've got amazing deals on new Toyotas at Briggs Toyota of Fort Scott, KS. Don't wait until all the new models are already gone; come in today and take your test drive! You can visit the dealership located at 1819 South Main Street, Fort Scott, KS, 66701. Drive home the 2019 Toyota Corolla you've always wanted! Corolla's striking good looks are sure to get your heart racing, but there's plenty of science behind the beauty. Its sporty design has been wind-tunnel-tested for optimal performance. This means that Corolla's sleek shape helps it slip through the air, reducing interior noise and boosting overall efficiency. 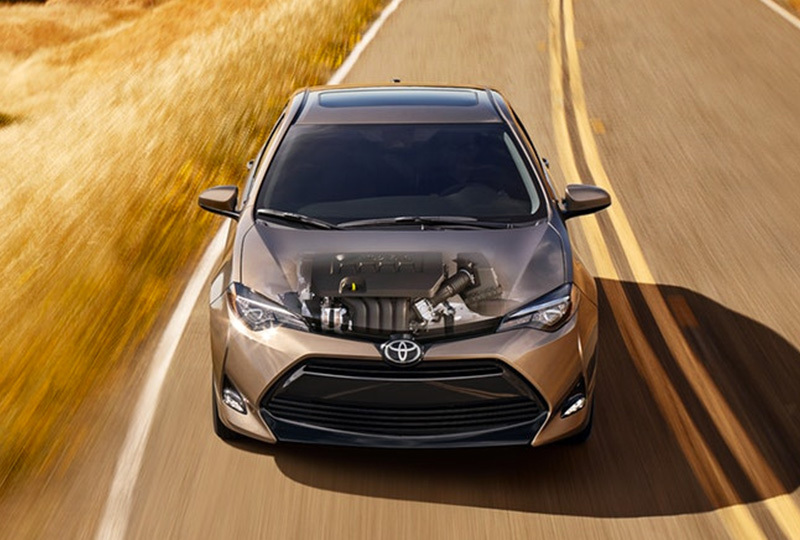 Corolla's Valvematic engine technology helps provide a more rewarding drive and greater fuel efficiency. The CVTi-S transmission adds smoothness and gives you more control, making the drive just as fun in stop-and-go traffic as it is on the open road. 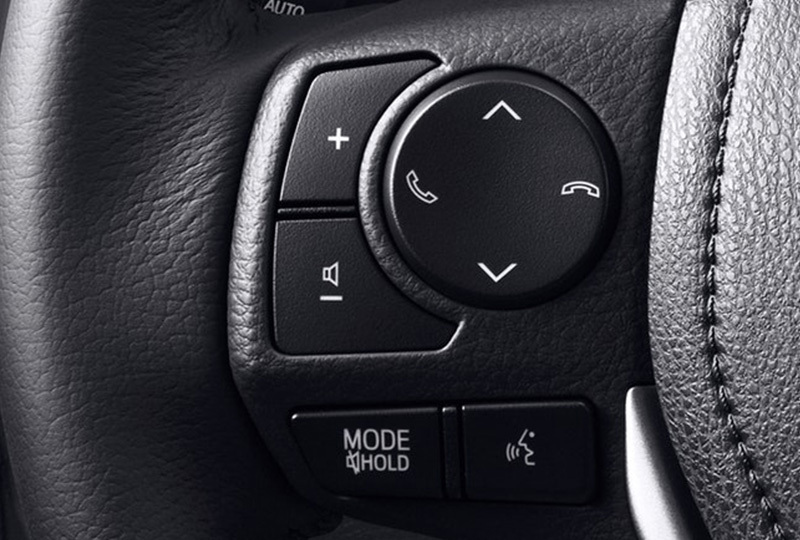 With Corolla's steering wheel controls, your music and more are right at your fingertips, so you can stay in total command. And with Corolla's advanced voice recognition35, you can access the info you need just by talking. It's easy to use: Just press the button, give one of the supported commands, and you're done. Corolla comes standard with Whiplash-Injury-Lessening (WIL)25 front seats that can help reduce the severity of whiplash injury in certain rear-end collisions. 25. Whiplash-Injury-Lessening front seats can help reduce the severity of whiplash injury in certain rear-end collisions. 35. Advanced voice recognition capabilities vary by head unit.